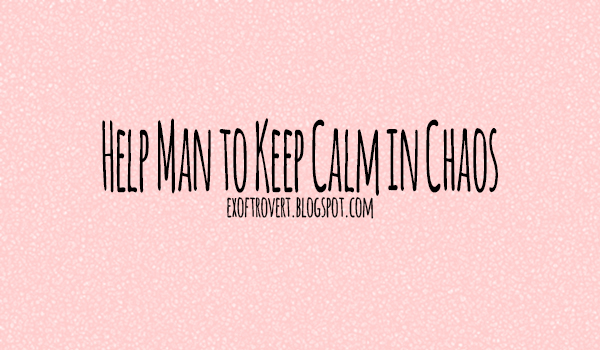 Help Man to Keep Calm in Chaos - Confusion and muddled feelings can come to anyone, anytime. Many things can make a person become upset or chaotic, can be derived from the romance factor, job, business or friendship, and family. If an ordinary woman with a chaos-feeling come to a beauty salon or spending money to go shopping to calm their chaos feeling. However, what is usually done by men when they are upset? Read also: Seven signs that you're shy extrovert. Nunki Suwardi, a psychologist, explained, a man who in troubled tend to be quiet and shut herself in his room. When emotions peaked, they could shed tears without wanting to show it to anyone else because it was considered disgraceful. Due to the current confusion, the brain in men more think hard to find an answer to the problem. Ever feel that he always slept in a time of need? Maybe he was having a serious problem. Sleep also be one way for men as a tool for busting upset. After waking, the body will be refreshed and the mind becomes clearer. However, most were also not good for your health. If they cant have a sleep, they do another things. Smoke too much, racing on the road, stay up late at night, even drunk, hit, or if his emotions have gone up, or a fight. Not infrequently a man wreak confusion and mess with things that are bad and it can threaten himself. Although not many are doing this, but a motivator romance Ronald Frank said the men were also wants to hear when he told me about his problems. But this return to the nature of each individual. Not all men want to share his anxiety to others. Sense of confusion being experienced slowly disappear and give rise to feelings of pleasure when he upset playing games, this is one way to relieve troubled man who was on him. So, if one of the men around you are playing games in the long term, you should ask if he was upset. 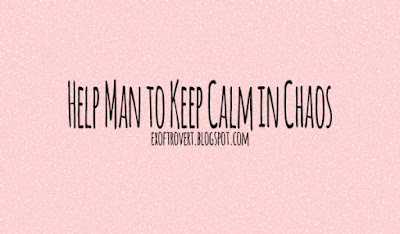 Messed up, chaos feeling (or else) is an opportunity for introspection in order to have a chance to think with common sense. With introspection, he will be able to see what is wrong in the body and what needs to be corrected for the next life. By doing this big move, then the man capable of self introspection that currently experiencing a difficult problem, can certainly be successful and loved by many people.